Home » Atlanta REIA Blog » Articles » Selling or Renting Your Home Fast! 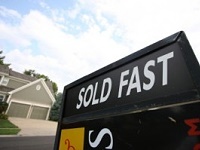 Selling or Renting Your Home Fast! As real estate investors, Kim and I have bought, sold and rented a lot of homes over the years. One of the most important lessons we’ve learned is to pay attention to price. Price, especially in this market, determines the “if” and “when” your property sells or rents. If your price is just 2% or 3% too high, it can cause your home to sit on the market for months or even years. I know, you’ve always heard that the three most important factors to consider in regard to real estate are location, location, location. That may be true when real estate values are rising, but in this economy, the three most important factors are price, price, price! Right now, we have two homes on the market – one is for sale, the other is for rent. Let’s look at how we market each home. We have the house we are selling listed with Bonnie, our realtor. When it comes to selling a house, unless we are selling with owner financing, we’ve learned that the smartest thing we can do is to list it with our realtor. A realtor’s main mission is to sell houses – and realtors do that better than anyone else! Kim and I are great at sales. Kim spent years working in her dad’s pawn shop. I sold Electrolux vacuums door-to-door on straight commission for 18 years. We know how to sell! But, when it comes to getting the word out about a house we have on the market, we can’t begin to compete with the tools realtors possess. For this reason, we almost always use our realtor. On the other hand, when we’re renting a property, we advertise it ourselves. Why? When a prospective tenant calls, I want to be the one who answers the phone. I know what questions to ask, as well as the answers I want to hear. While realtors are great at selling a house, very few – unless they own rental property or are experienced property managers – know squat about rental property and tenants. Here’s another thing to remember: When you have a home on the market, make sure it’s ready to be on the market. I can’t tell you the number of homes I’ve been in that are for sale or rent that have NO business being on the market. Oftentimes the properties are dirty and in need of repairs and landscape work. Also, do an open house. When people see a house on the market, their first questions are: How much is it? How many bedrooms and bathrooms? What’s it like inside? An open house can easily answer these questions. Hope today’s column helps you to quickly get your property sold or rented!